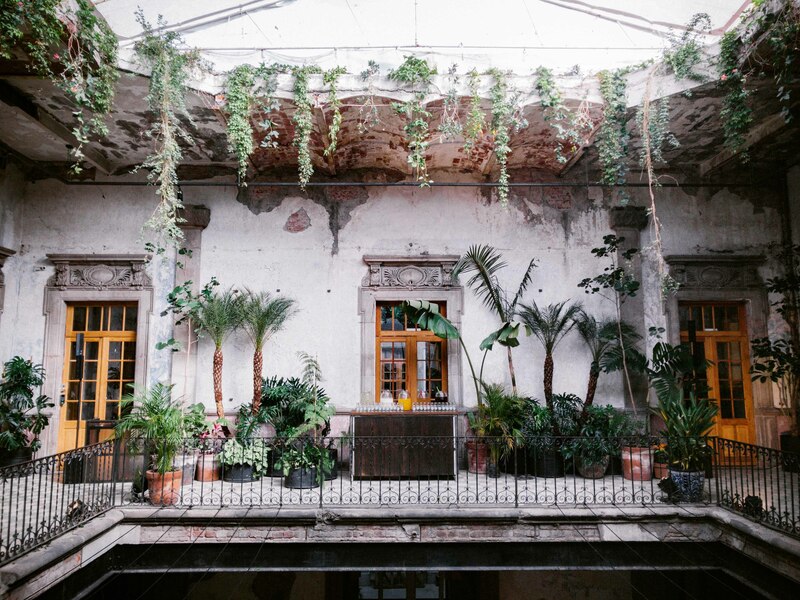 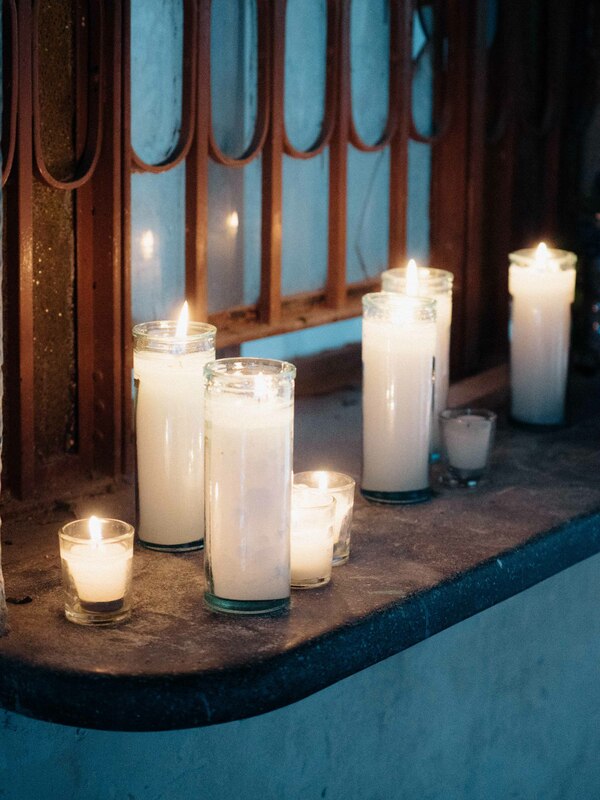 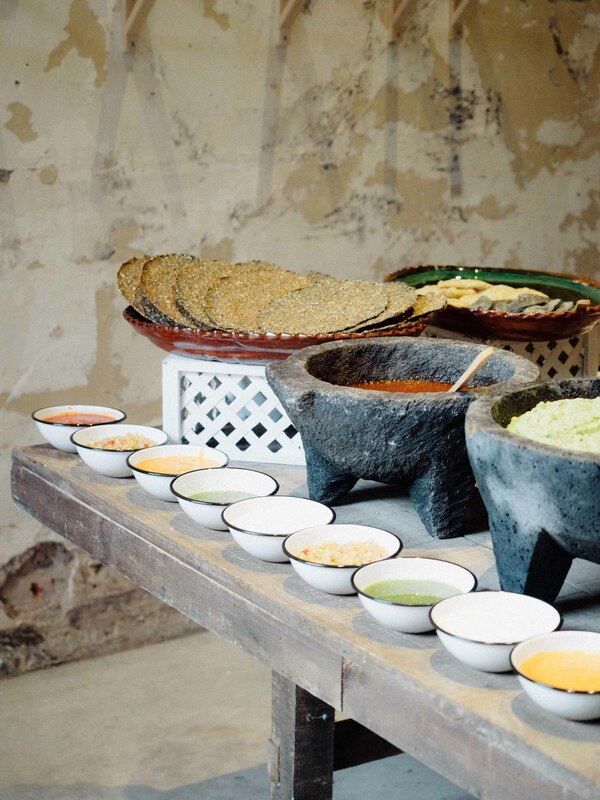 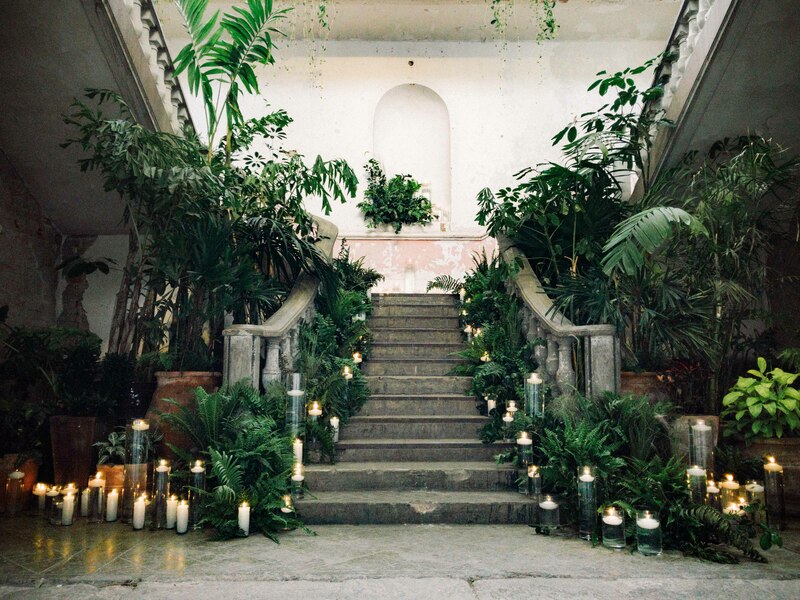 Adam and Lana’s wedding embodied everything they love about Mexico City: the old world charm (and food) of Mexico as well as the art and design of Mexico City. 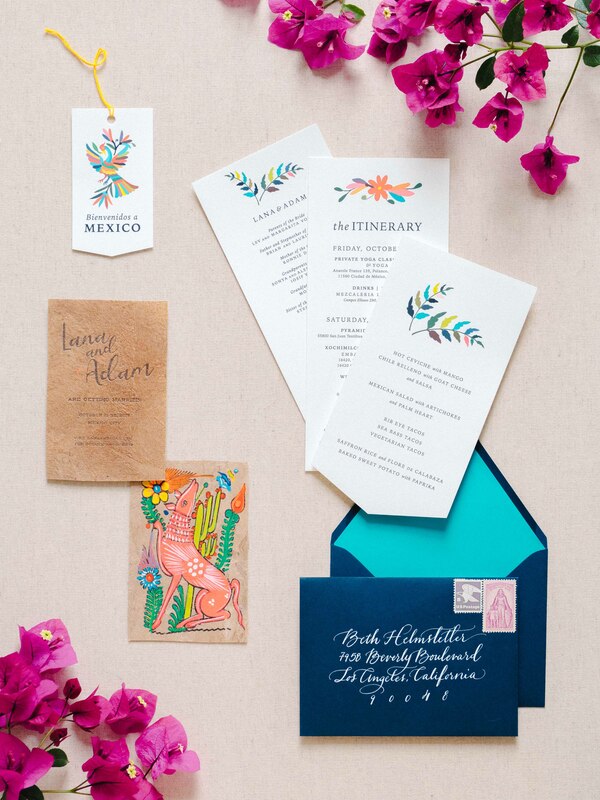 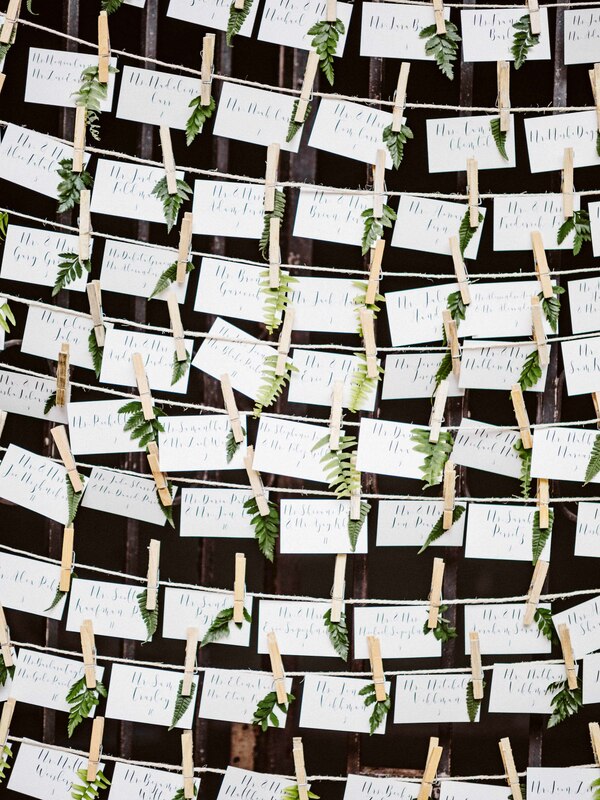 From the moment guests received their save the dates they were prepared for the celebration. 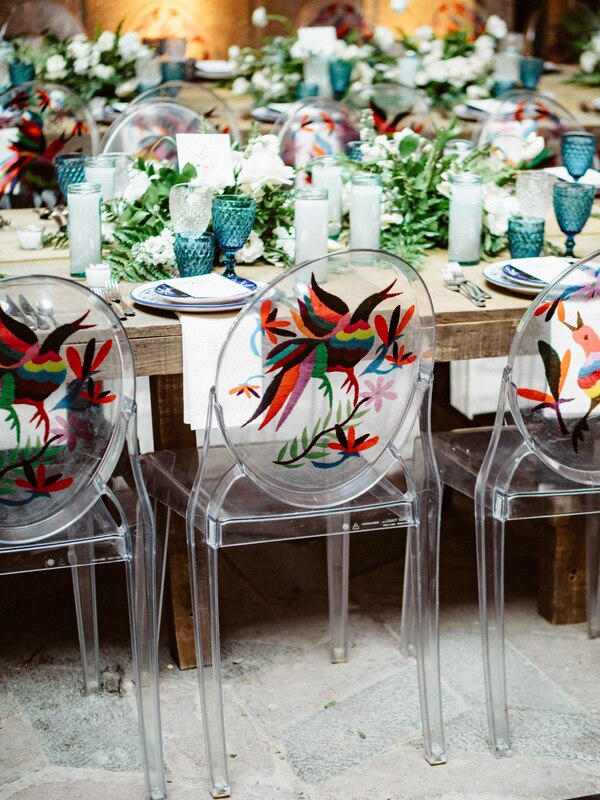 We sourced art from a local artisan painted on bark giving guests not only a peek of what to come, but also a piece of art they could cherish forever. 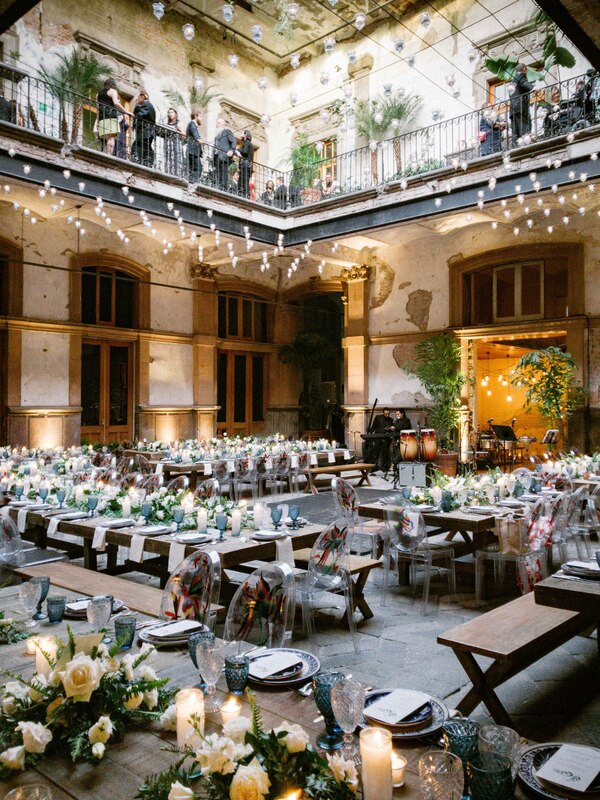 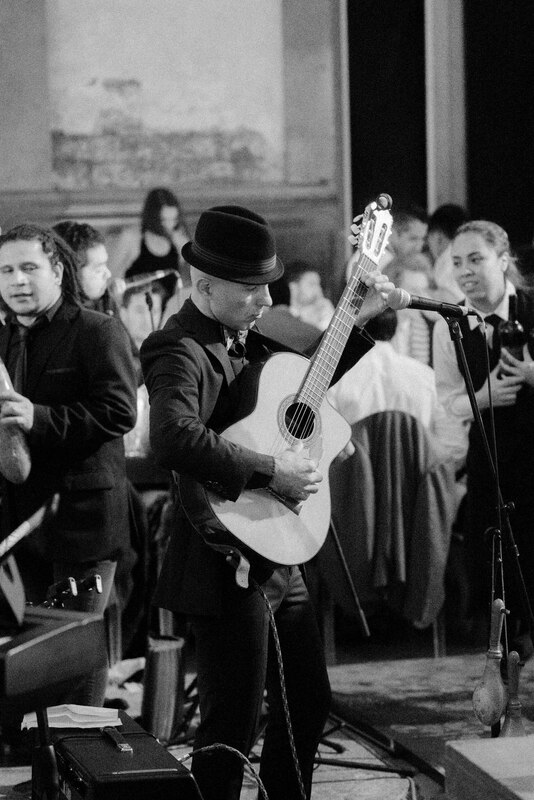 Proyecto General Prim, a historical home turned art gallery, was the perfect venue for the celebration. 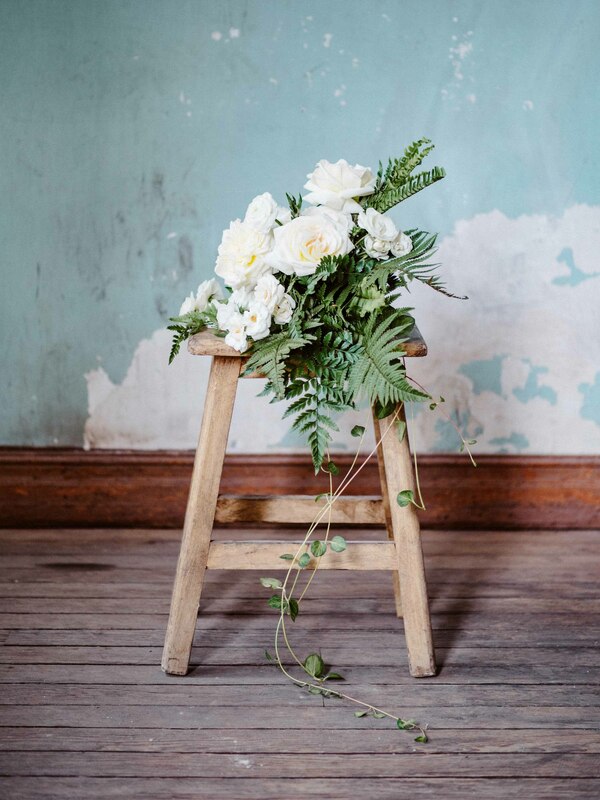 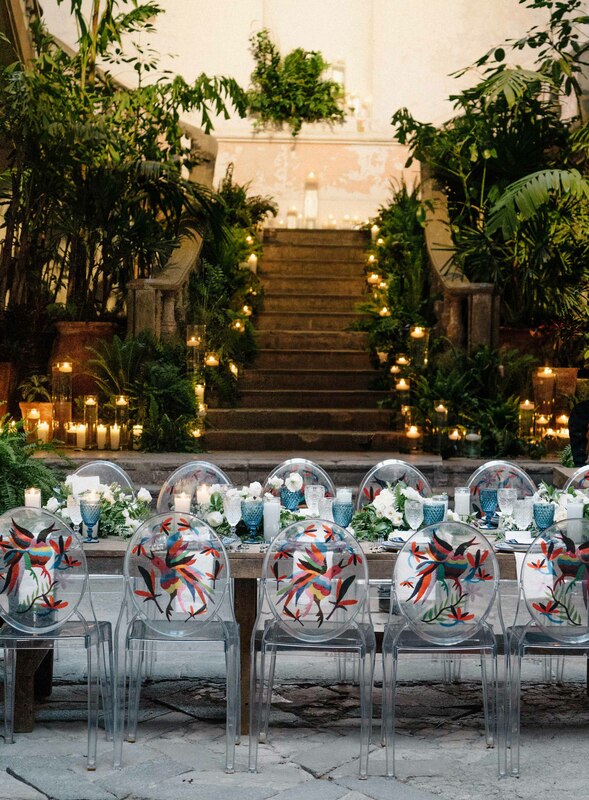 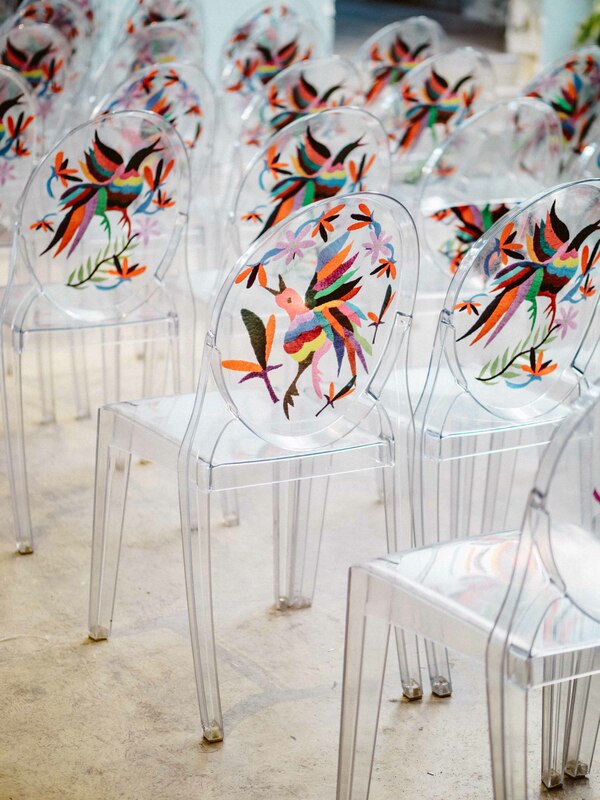 We played up the modern yet regional vibe by incorporating Otomi patterned ghost chairs, lots and lots of ferns and candles everywhere. 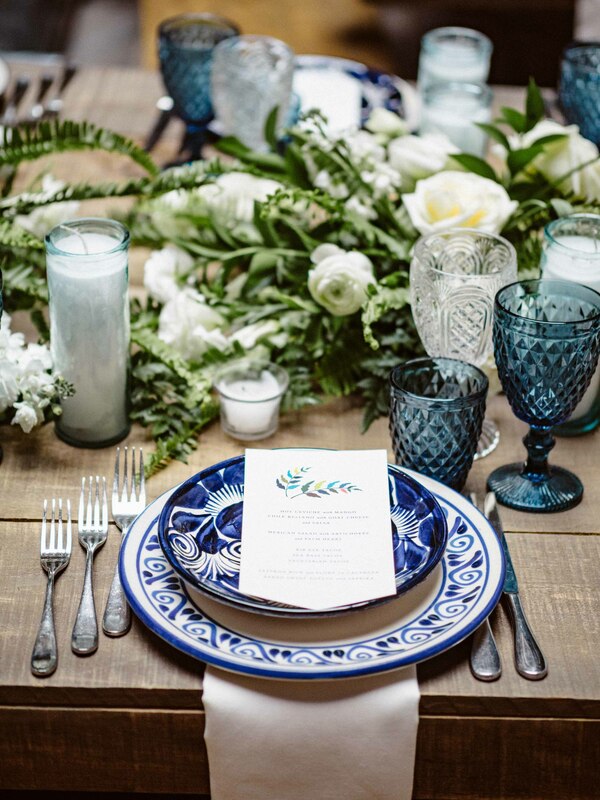 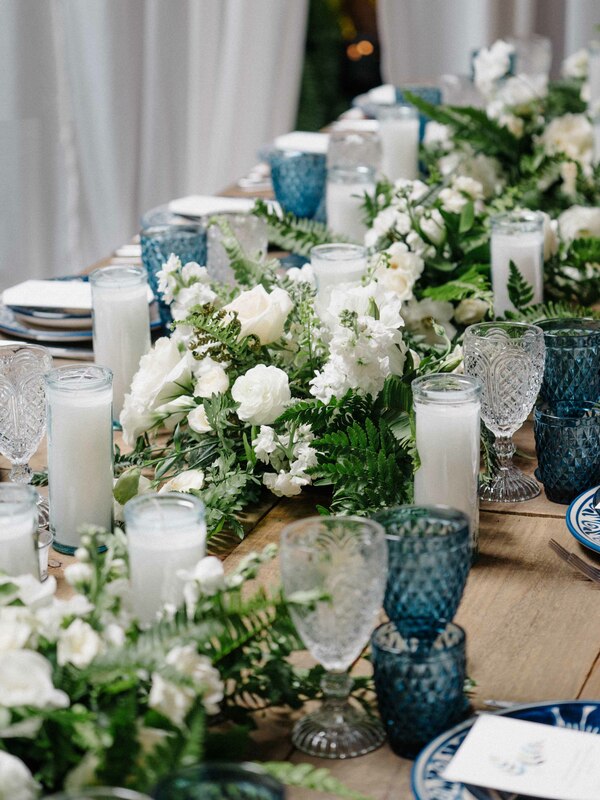 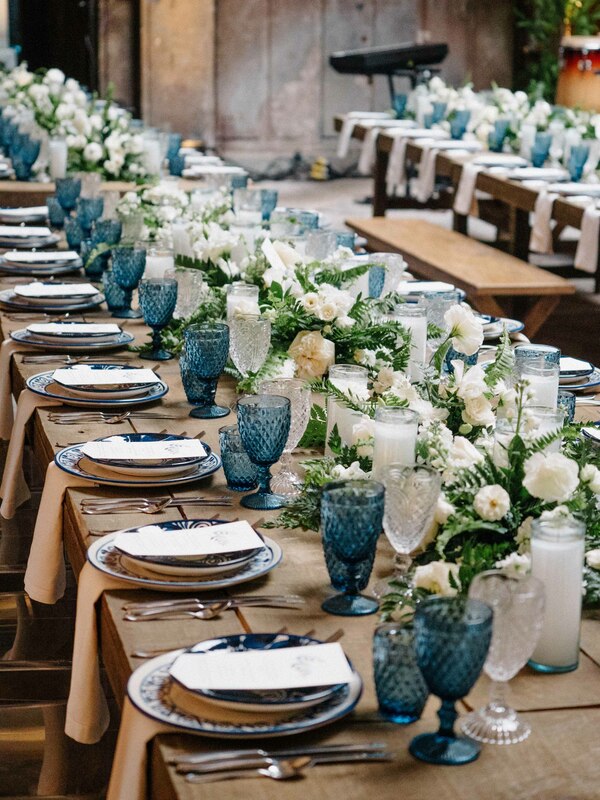 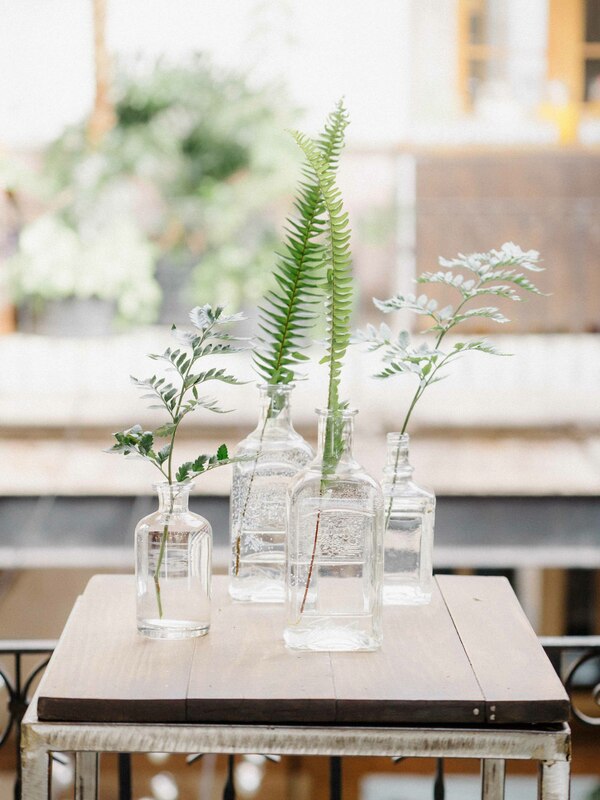 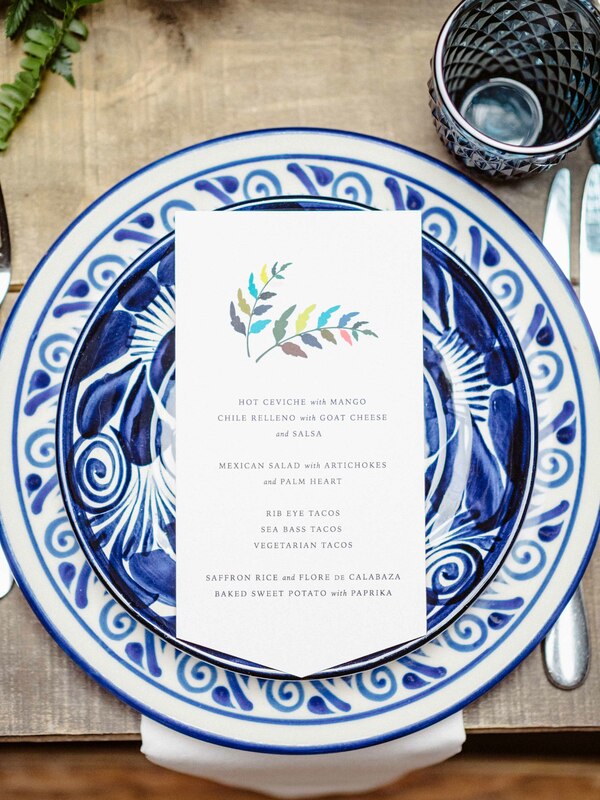 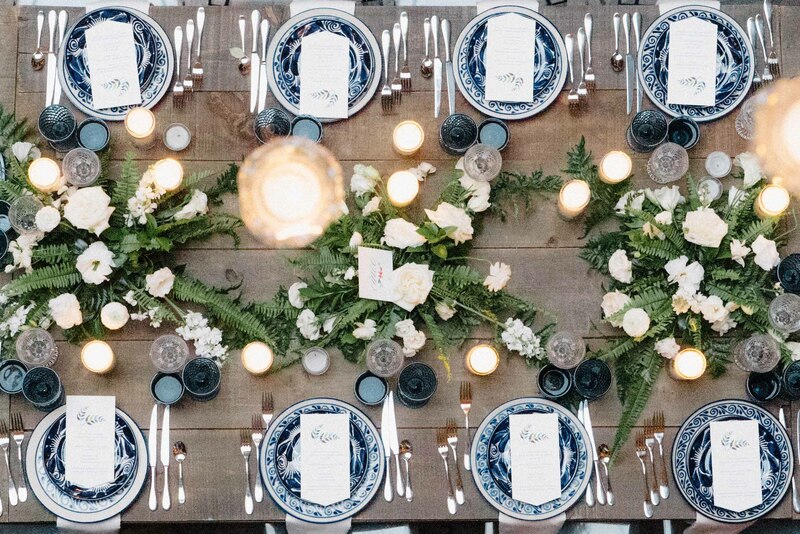 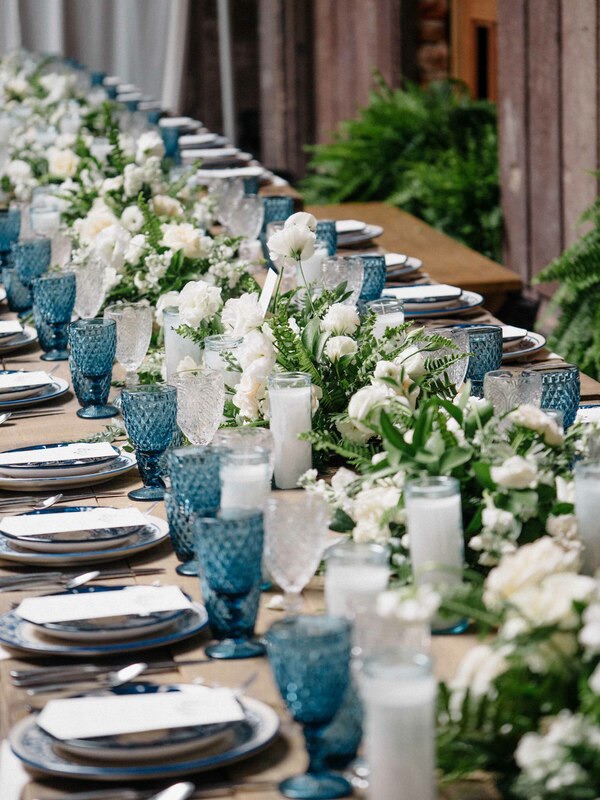 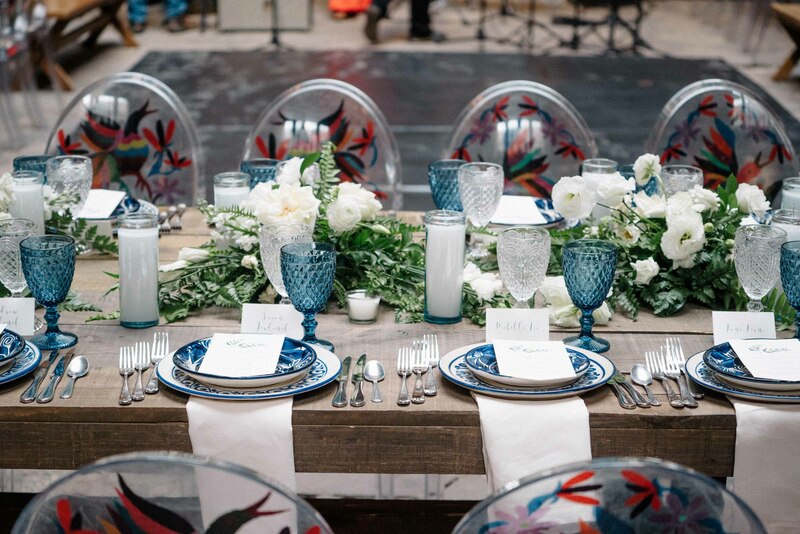 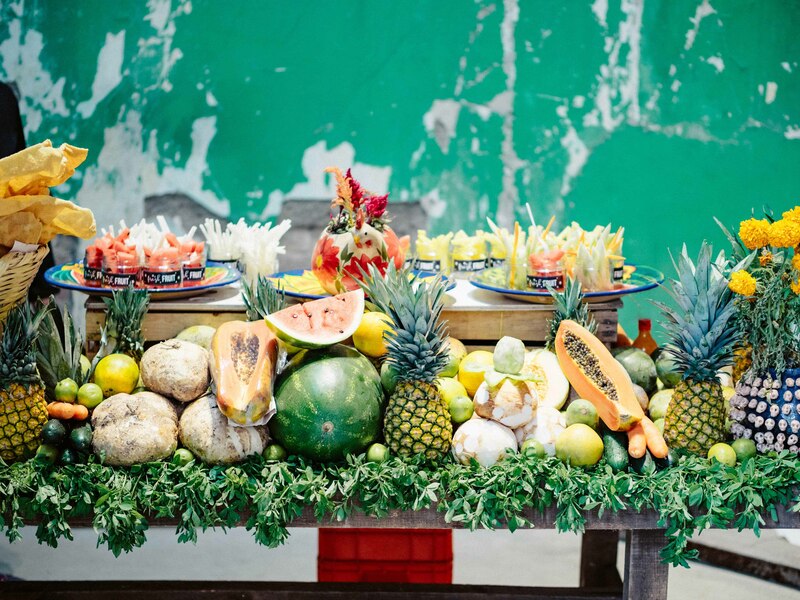 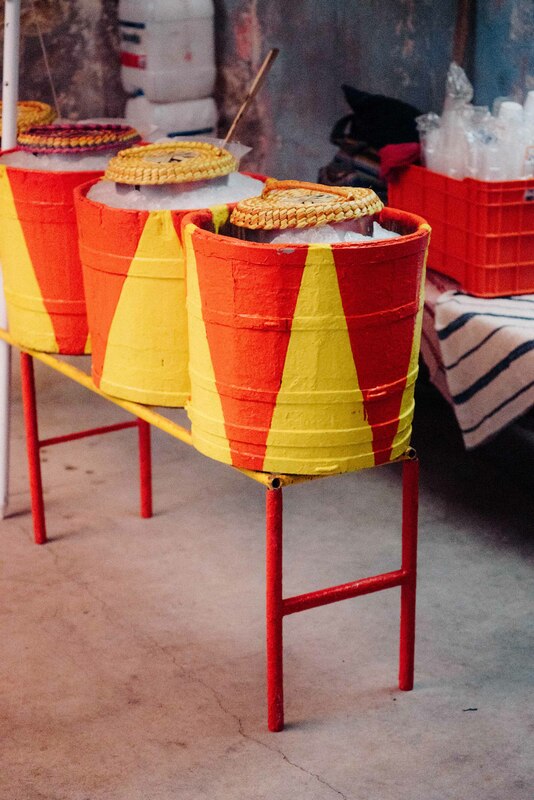 We used locally made ceramics and glassware for the table top and the feast was filled with elevated versions of the couple’s favorite street foods. 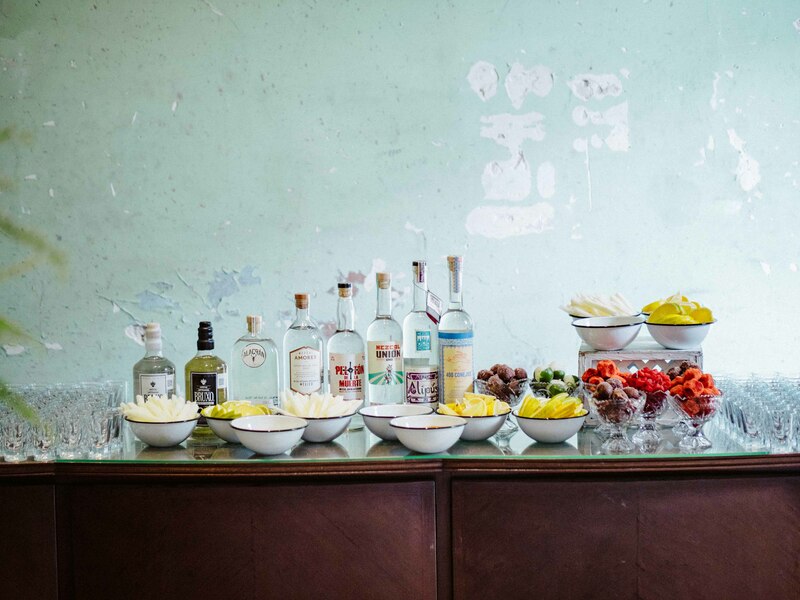 More on that in a blog to come. 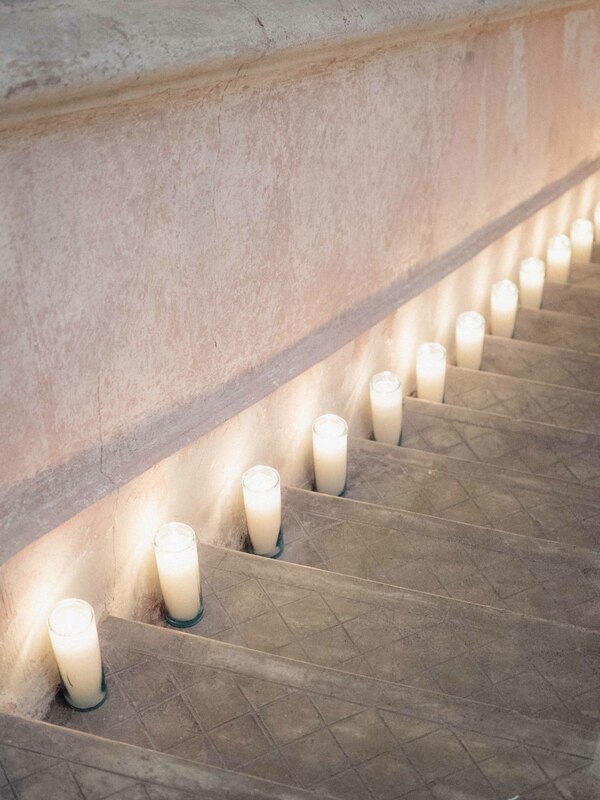 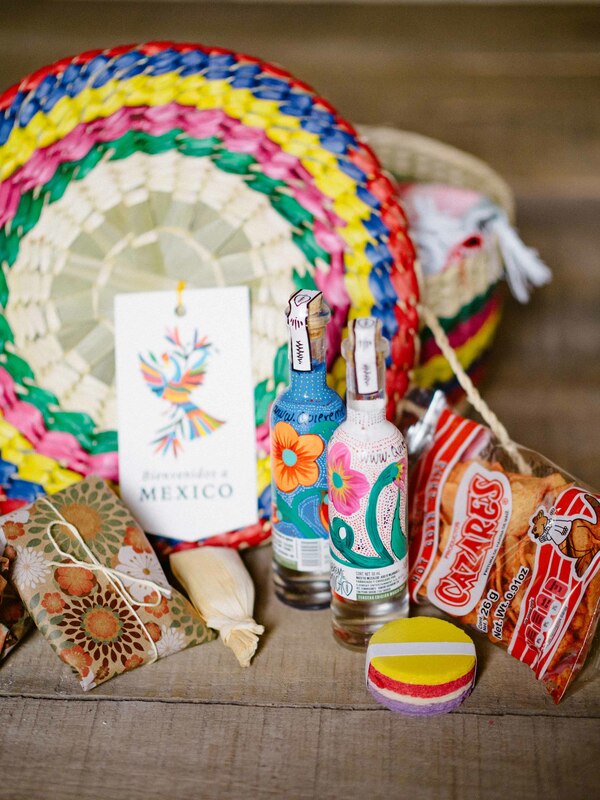 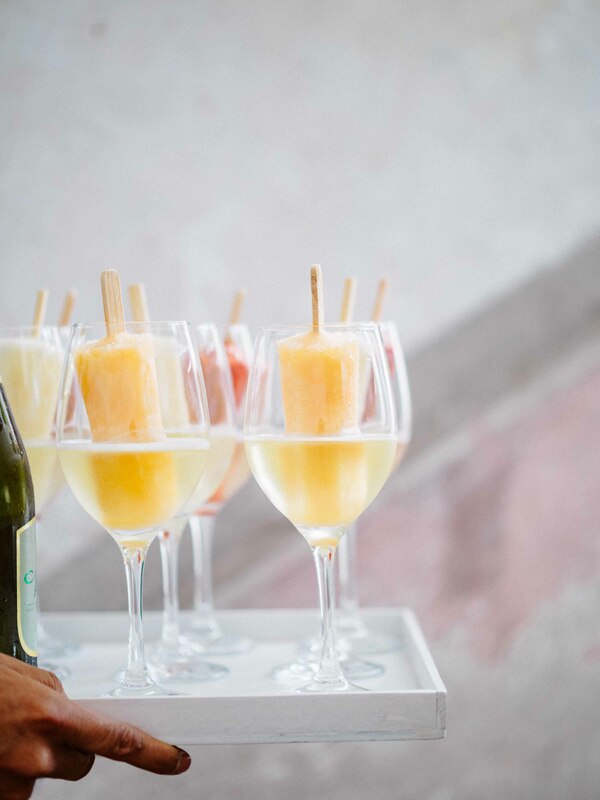 Upon guest arrival they were greeted with locally made Paletas and prosecco before sitting down to a ceremony with Spanish guitars playing in the background. 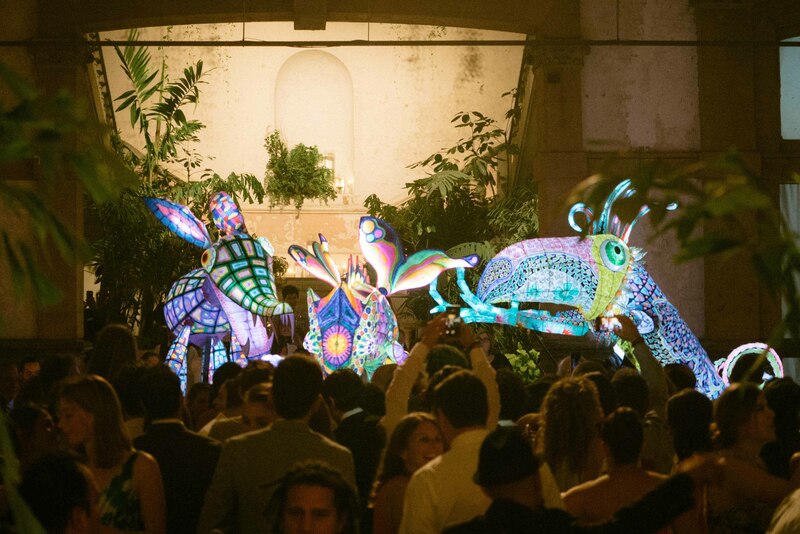 Throughout dinner guests danced the evening away to Cumbia music while enjoying a family style feast and right before we revealed the after party, the guests were surprised with the oversized, illuminated dancing puppets straight from Mexico City’s Museum of Modern Art. 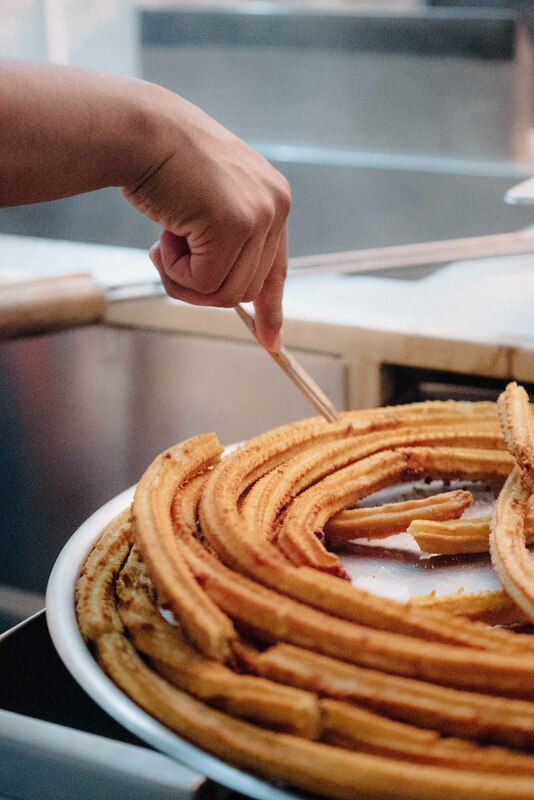 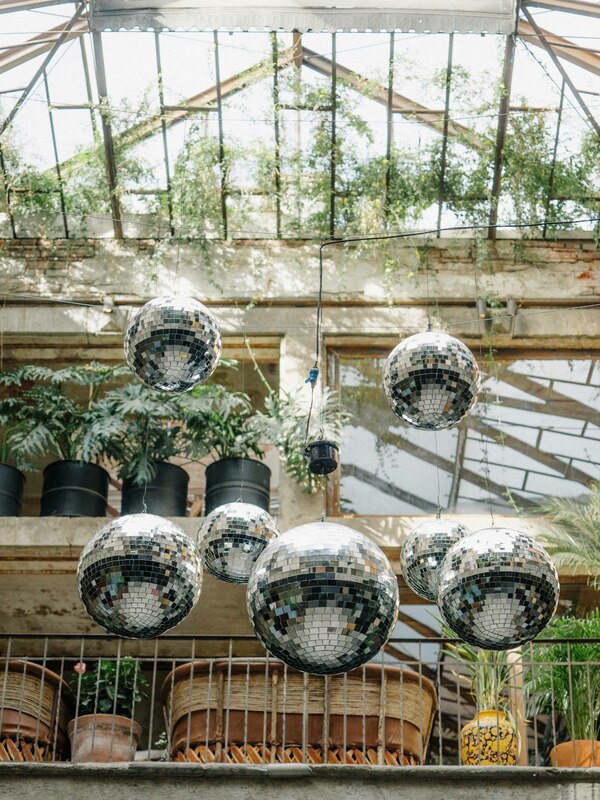 The night ended with guests dancing until 4am under a ceiling of disco balls while enjoying churros, chilaquiles and Mezcal. 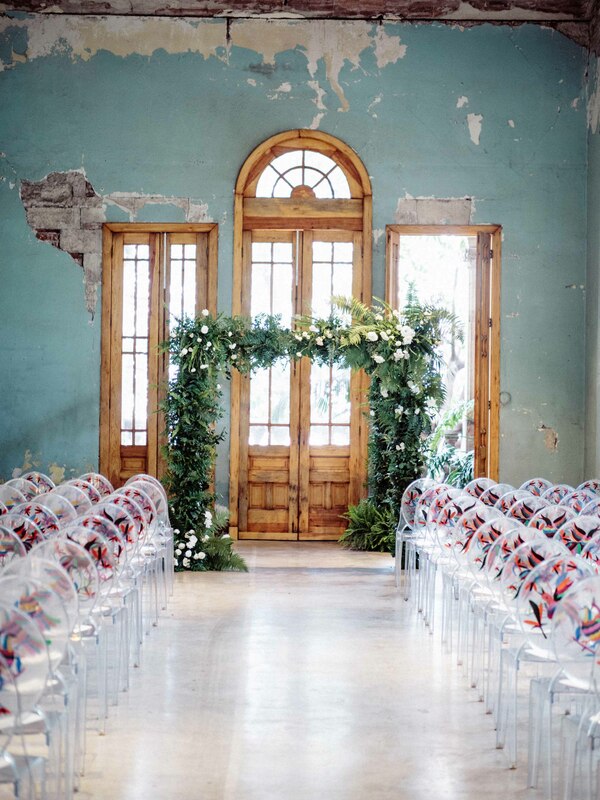 Enjoy the images by Steve Steinhardt.